Engine Repair | German Sport, Inc. The engine repair Walnut Creek residents depend on to keep them moving down the road. Having an auto mechanic that you trust is just as important as regular auto maintenance. 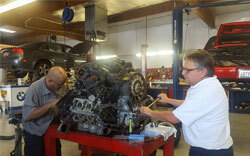 Engine repair is needed after many miles on the road, or just from the wear and tear of everyday driving. Engine repair in the Walnut Creek area is completed professionally at German Sport by one of the many auto mechanics that work here. When the engine malfunctions or breaks, it needs to be taken to a professional who has substantial experience in engine repair. Our professional team consists of only the best and that’s what you will get all your auto maintenance with us oil changes, brake repair, and more. 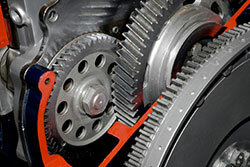 Since 1986 German Sport has been offering only top of the line auto maintenance services. We are dedicated to being the best in the business and providing our customers with exceptional work. We’ve received top honors in customer service and your car gets treated just as well. 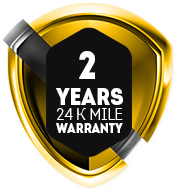 We guarantee our work, parts and labor for 12 months or 12,000 miles. Contact German Sport today to schedule your appointment.